"What does this film say about us? " Theme parks can have the same effect on people as horror films, where people pay to be terrified. Riding on a roller coaster, walking through a dark hall of mirrors or delivering jump scares in a dark theater, parodies the same level of fearful entertainment for millions around the world. Jordan Peele, the Academy Award-winning writer and director for his breakaway hit, Get Out, manages to incorporate these two worlds for his latest suspense thriller. On the boardwalk of Santa Cruz, California in the mid-80s, was the place where Adelaide Thomas (Lupita Nyong'o) began her journey of fear. While on holidays with her parents, she gets separated and finds shelter in a hall of mirrors where she runs into her doppelgänger. This traumatic situation causes her to go through extensive therapy to get over this horrific experience and produces anxiety that follows her throughout her life. Dancing became an outlet to work through her worries, allowing her to suppress her fears and put this incident behind her. As an adult, Adelaide returns to the holiday house for a family vacation with her husband Gabe Wilson (Winston Duke) and their children, Zora (Shahadi Wright Joseph) and Jason (Evan Alex). Even though it is meant to be a time of relaxation, the past memories haunt the thoughts of this young wife and mother. The family tries to enjoy a day at the beach with friends, but this is interrupted by the images of a homeless man being taken away in an ambulance and then later seen on the beach bleeding. As the family returns home for the night, Adelaide has an uneasy feeling about the evening and then her worst fears come to light. Their children see a family standing in the driveway in red jumpsuits and each person looks just like the Wilsons. The doppelgängers eventually force their way into the holiday house and even though resembling the Wilsons, their demeanor and intentions eventually lead to a night of mind-boggling terror. In Jordan Peele’s short and successful directorial career, he has developed specific signatures for his films. With Get Out, he confronts the underlying issues of racism in a unique and confronting manner. There is no shortage of symbolic considerations in his sophomore outing, the challenge of Us is knowing what it all means. Unlike his first film, no one should question that this film lands squarely in the horror genre with the extreme nature of the attacks by the zombie-like doppelgängers on the Wilson’s and society. The issue with the story is knowing what Peele is trying to say about our world or if he is really trying to add any underlying commentary at all. For horror fans, Us provides the Hitchcockian suspense with a dash of humor and a multitude of rabbits thrown in for good measure. Despite a variety of inconceivable jumps in logic and unexplained story elements, the one thing that Peel has going for him are the performances from his leading cast. Lupita Nyong’o proves her value in her dual roles by providing a faithful depiction of a loving mother and a formidable warrior. While Winston Duke delivers the comedic element needed to elevate the tension and the children prove to be critical in the battle for their lives. But the bewildered looks that remain on their faces throughout the film are reflected in the faces of the audience while trying to figure out what this film is trying to say. Is it a niche horror film or a bizarre social commentary? It is a question for all to consider and even though the twist does provide some solace, it still leaves more questions than answers in the end. 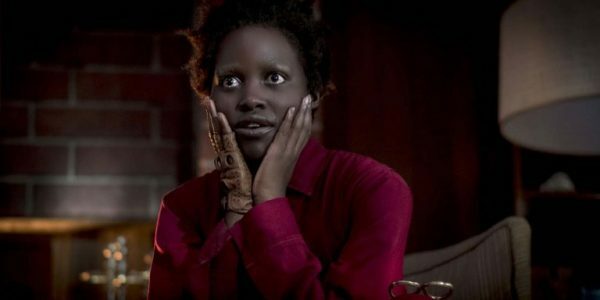 Us does offer something for the horror fan who wants something more than the slasher film, there is the humor for the Jordan Peele devotees and the script will provide a plethora of discussion points for the conspiracy theorists of the world. 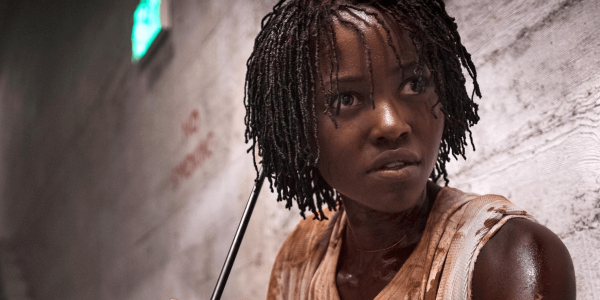 One could say that this movie is a cut above the rest within this genre and fans should give Jordan Peele a hand for a solid follow-up to Get Out. What was this film about? It gets you thinking, but about what?